Employees may be required to undergo a drug test to ensure that workplaces have a safe and productive environment. Unfortunately, if you are one of those employees who use drugs for recreational or medical purposes, this could spell trouble for your career. If thoughts of your fast-approaching drug test make you break out in cold sweat, don’t panic yet! Damage control at this point is still possible. Lucky for you, we have put together this informative guide to help you get started ASAP. Know the date of your scheduled drug test. If there is no date provided, check company policies for a clue. In most cases, your employer will give you fair warning before a test if not the exact date. Once you are aware, use all the time you have. If you have been using substances until now, stop! The greater the gap between the day you last took drugs and the day of your test, the greater your chances of acing the test. Most common of all drug tests. They are the easiest to manipulate, which can be done in the time taken to collect and present the sample before getting the results. This test may be administered if your employer is suspicious that you aren’t sober. These can accurately gauge how much substance is present in your system. Fortunately, the longer you go without a drug, the more likely it is that you will pass this test. Saliva tests are used in cases where employers don’t want to invade your privacy. This test is adept at identifying regular users and incredibly difficult to falsify. About 100-120 hairs from the head or body are collected from the test subject as a sample. Depending on the kind of user you are, you can gauge the amount of drugs that might be in your system. If you are an occasional user, you still may have a chance to prepare your body and clear the test. Unfortunately, if you are a heavy drug user, chances are you might not pass the test as certain substances can be detected 15-30 days after they have been taken. In the case of THC (tetrahydrocannabinol from marijuana), they can remain for 30 days, or even longer for regular users. Note that if you take a hair test, any substance you might have taken in the past 90 days (excluding the last 2 weeks) will show up in your report. In the unlikely event of being able to choose a test, consider each option carefully. If you are a very infrequent user and it has been weeks since you used a substance, go for a blood/saliva test since substances don’t last in the bloodstream for more than a few hours or days. If you used a drug specifically in the past 2 weeks, opt for a hair test but avoid this at all costs if you are a heavy drug user. 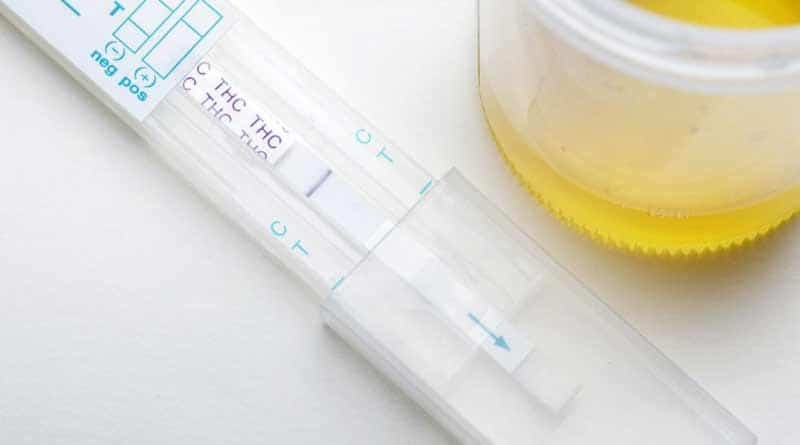 Urine tests can show THC for up to two months so avoid that if you are a cannabis user and given a choice. The following are some guidelines you should follow if you are taking a urine test. The people conducting the test are professionals who can easily identify a tampered sample. Don’t go for home remedies such as adding vinegar, bleach, water or salt to your urine in hopes of testing negative. Bleach, salt, and vinegar can dramatically change urine pH which makes you look even more suspicious. Diluted urine will also be rejected. Never take drastic measures such as drinking bleach which can cause serious harm to your internal organs and potentially kill you. Do not fall for products which promise negative results. Those are usually scams. This goes for “cleansers” typically sold at head shops, as well. If you are a casual drug user, you can dilute your urine by drinking plenty of water. Additionally, drinking diuretics such as cranberry juice which contains substances such as zinc, niacin, pectin, and salicylic acid can detoxify your system and help you test negative for drugs. Take some B vitamin pills to make urine appear yellow otherwise it might arouse suspicion. The more you urinate, the more drug metabolites are being flushed out of your body. Your urine will be most concentrated with drug metabolites in the morning since they build up in your body as you sleep. Make sure you relieve yourself then take the test. When taking the test, if you aren’t being observed, collect the last portion of the urine stream as a sample. The first portion is more concentrated with drug metabolites than the rest. Use synthetic urine if you are out of options. These can be purchased from smoke shops. You can either buy a urine kit or get it from a clean donor. Make sure you keep it at the right temperature (91-97 F) and it has an odor, otherwise you risk getting caught. Use the fake urine within 48 hours or it will change color. The following are some guidelines you should follow if you are taking a blood test. Traces of drug metabolites do not remain in the bloodstream for longer than a few hours or days. So, delaying the test will make it more likely that you pass. If you are the one taking your own cheek swab, you are supposed to rub the cotton bud between the lower cheek and gums. Instead, try rubbing the swab against your lower teeth and bite on it with your molars. This might be unlikely to succeed. Unfortunately, when it comes to blood tests, there is no way to alter test samples. If you have never met the people taking your tests or agreed to provide a hair sample beforehand, try shaving your head and waxing body hair. Come up with a valid reason for the change. For e.g. change of style, head and pubic lice, balding etc. Do not make up outrageous reasons such as saying you have alopecia which could cause you problems later on. On the test day, you can ask to take a different test instead. Opt out of a blood, saliva or hair test if you can since test samples are very difficult to doctor. Say you want urine tests because the rest feel more intrusive. You could also say you are afraid of needles, allergic to cotton buds, and prefer not losing hair over a drug test. Furthermore, see all information relating to drug testing policies in your state, country, and company. Try finding an escape clause. It is possible to ask for a retest if you feel like you don’t concur with the results. 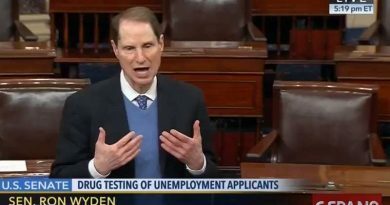 Drug tests are not 100% accurate all the time. Go through the laws and policies of your workplace and locality regarding drug tests. If the laboratory management and examination of test results aren’t state approved. If your employer did not warn you about the test beforehand. If you believe that being watched while urinating was a serious breach of your privacy. Being asked to take a drug test out of the blue can be very stressful especially if the amount of time you are given before the test is too short. Hopefully, with this article, we have covered all the steps you can take to ace any drug test with flying colors.